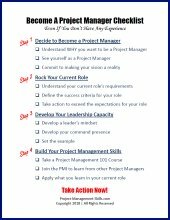 Here are some free project management templates that you can use in your projects. Feel free to use them "as-is" or as a basis for creating your own versions. This is a dynamic fishbone diagram template for Microsoft Excel. It's already formatted and ready to be printed on a single page. You just need to add in your data. The fish bone diagram updates automatically based on the data entered. You can also print out a blank version for filling it in manually. This SWOT template will help you develop your project strategy. It is a single-page pdf file of a SWOT Matrix that is ready to be printed and used for your next strategy brainstorming session. It has areas to document your project objective, strengths, weaknesses, opportunities and threats. This Project Charter template is a Microsoft Word document that you can use and modify to suit your specific project needs. It includes sections for documenting your Project Mission, Project Description, Project Objectives, Assumptions and Constraints, Project Risks, Milestone Schedule, Budget, and Approval Signatures. It can easily be modified to include additional sections if needed. This SMART Goal Setting worksheet is a pdf file. It is a single-page document that can be used to help you determine your Goal Statement, understand why the goal is important, figure out what you need to accomplish the goal, make sure it is a SMART goal, and determine the key actions that need to happen for the goal to be accomplished.